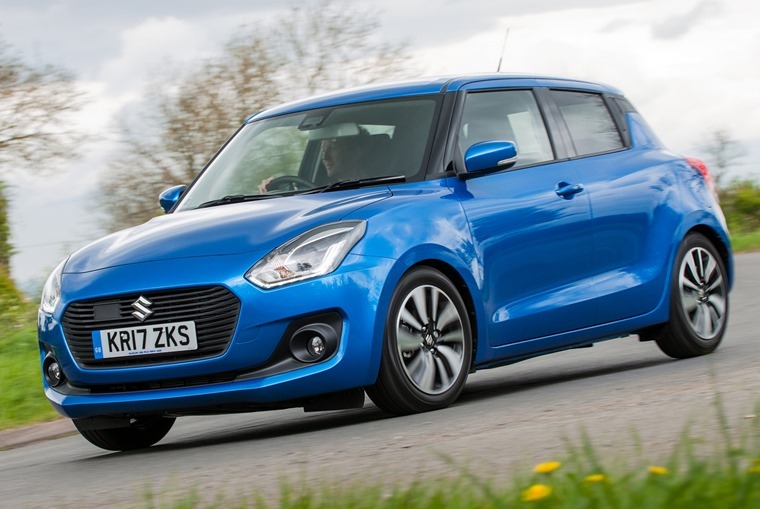 The all-new Suzuki Swift will hit showrooms next month and, although lease prices are to be confirmed, entry-level models get an attractive list price of £10,999. 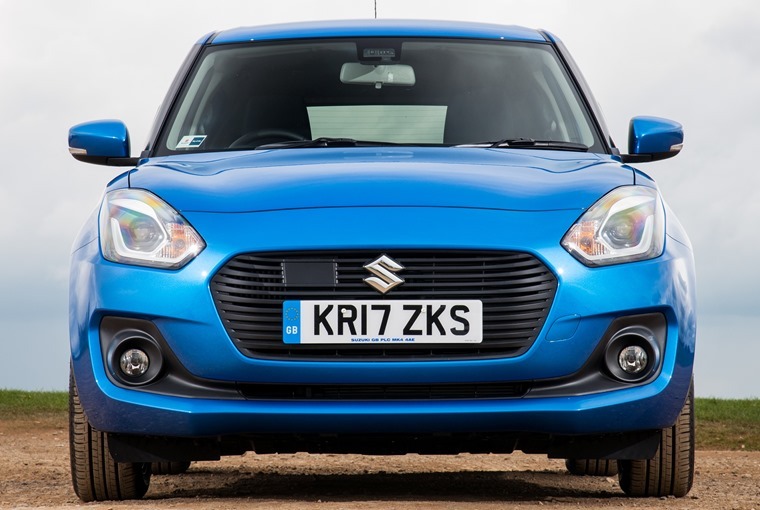 Leaked pics from the Japanese market already mean we knew what to expect from the new supermini, but we’ve been lucky enough to drive the new car already – here’s our review. The 2017 Swift gets a cleaner, sleeker look, but styling cues from its ageing forebear remain. 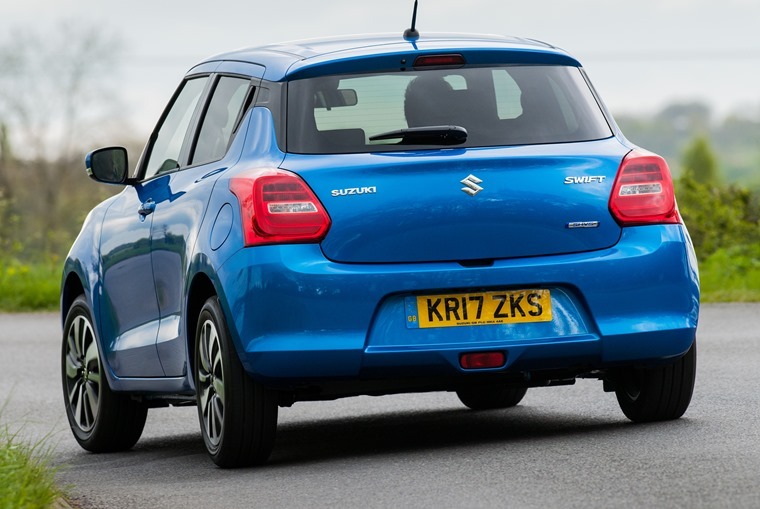 The head and tail lights are more bulbous however, but overall, it’s definitely recognisable as a Suzuki product. One noticeable difference comes courtesy of the floating roofline design, created by C-pillars that are painted in a contrasting colour. The rear door handles have also been moved to the top of the door, a design quirk we’re seeing more and more. While the silhouette is very similar, it’s actually larger than the outgoing model, which means more room inside. There’s 25% more luggage capacity, with 254 litres of boot space, along with more rear legroom, too. The new Swift will include three models – the entry-level SZ3 gets air-con, Bluetooth, electric windows and DAB radio. 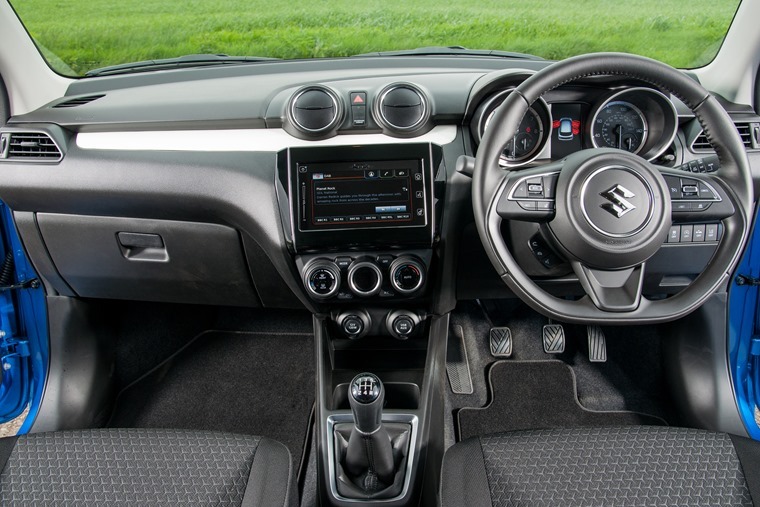 If you want an infotainment system, you’ll have to plump for a mid-range SZT which also gets satnav, a rear-view camera, alloy wheels along with some new driver aids. Top-of-the-range SZ5s will feature full autonomous emergency braking tech, adaptive cruise control, along with a 4.2in colour LCD driver read-out screen. Engine-wise, things kick off with Suzuki’s 1.2-litre Dualjet petrol engine that produces 88bhp, while those after more power will be looking for the 109bhp 1.0-litre Boosterjet engine we’ve already seen in the Baleno. This engine can also be specified with a mild-hybrid set up, which brings CO2 down to just 97g/km and upping economy to over 60mpg in the real world. What’s more, a four-wheel drive option is also available on range-topping models, making the new Swift an admirable performer in adverse conditions. List and lease prices are yet to be confirmed for the new model, but with deliveries will commence next month. If you can’t wait however, click here for great lease deals on the outgoing model.